Poppy seeds and opium are both derived from the opium poppy plant (Papaver somniferum). All parts of the plant exude white latex when wounded – opium is that latex. 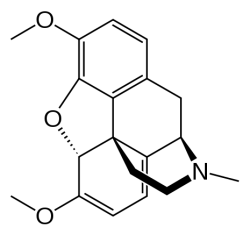 It contains alkaloids, such as thebaine, codeine, papaverine, noscapine and morphine. Papaver somniferum is an annual herb that sometimes grows as high as 100 cm. Its stems and leaves are sparsely covered with coarse hairs. The flowers are up to 120mm diameter, normally with four white, or reddish petals. Sometimes you can also see dark markings at the base. The fruit of the plant is a hairless, rounded capsule topped with 12–18 radiating stigmatic rays – this is the part of the plant, that is usually dried and used for ornamental purposes. 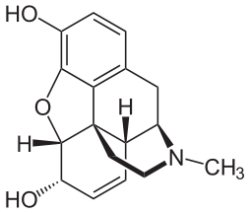 The three alkaloids in opium that are used the most extensively to create medicinal products and illicit drugs are codeine, thebaine and morphine. 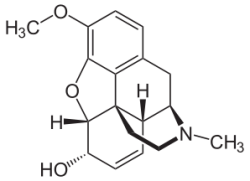 Heroin, arguably one of the most vicious drugs out there is synthesised from morphine. The overwhelming majority of the alkaloid content of the opium poppy is accumulated in the latex obtained from the plant. However, the pods and seeds also contain some residual thebaine, codeine and morphine. Seeds are available in every country, although their alkaloid content is inferior, compared to that of pods. Nevertheless, because it’s readily available in grocery stores around the world, many use the poppy seed tea as a recreational legal high. The tea has to be prepared from relatively large amounts of seeds, as their morphine and codeine content is very low. Caution: the alkaloid content of the seeds is low indeed, but it also varies greatly. This makes drinking poppy seed tea a risky business, as one batch can be substantially stronger than the other. Several cases were reported, when poppy seed tea caused a fatal morphine overdose. Make sure you start small if you want to experiment with poppy seeds or pods! Poppy seeds do not contain enough alkaloids to produce psychoactive effects when eaten in amounts used for culinary purposes. However, the crew of Myth Busters, the popular science programme on Discovery channel had proven, that eating as few as two poppy seed bagels can result in a false positive drug test. Until 1998, the US National Institute on Drug Abuse (NIDA) marked urine samples with over 300 ng / ml opiate content as positive in its Federal Workplace Drug Testing Program. However, this method seemed to produce an enormous number of false positives, as it was proven, that eating a poppy seed bagel can produce an opiate level of approximately 250 ng/ml three hours later. Moreover, ingesting three teaspoons of poppy seeds can result in a level of 1,200 ng/ml six hours later. Currently, the cut-off level for a positive urine test for opiates is set to 2000 ng / ml in the NIDA guidelines. US Military drug tests are marked positive above 3000 ng / ml, to avoid false positives completely. The Myth Busters test would probably not work in the US anymore, but in other countries, the threshold might be set lower! The poppy seeds are legal and availabel in grocery stores in almost every country (with the exception of the United Arab Emirates, apparently, see below). The legal status of opium poppy is controversial in many countries. Many authorities allow growing poppies for ornamental purposes, but punishments are imposed when the plants are grown for the purpose of extracting narcotics from them. However, such a law is extremely hard to enforce consistently. Other countries only allow growing opium poppies under a special licence. Canada All substances derived from, and all parts of the Papaver somniferum are Schedule I drugs. 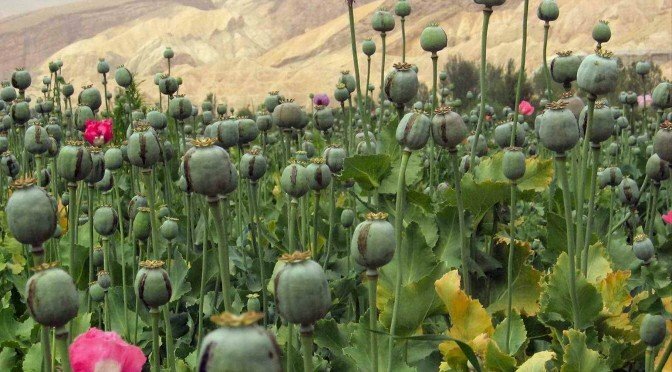 Although, growing opium poppies is namely illegal in Afghanistan, the country is by far the largest source of illegal opium, globally. In 2007, the proportion of Afghanistan in the global opium production was reported to have been 93%. Small-scale illicit opium production is limited to countries in North Africa, notably Egypt, which regularly reports the largest eradication of opium poppy among all countries in Africa. (I was in fact in Egypt, in a small town Dahab near the red sea last year and the local bedouin people there were selling their home-grown opium to tourists on the streets – seemingly unharassed). Opium poppy seeds are available worldwide in nearly all grocery stores. However, pods are problematic. Commercially available poppy pods are downright impossible to come by (few art and craft supply store have dried opium poppy pods available from time to time and ebay, craigslist, but that’s it). The residual morphine and codeine content of the seeds is dependent on many factors, like how they’re produced, are they washed etc. For this reason, regular seeds you buy at the shops don’t always work. You can find two legal high shops below, where you can get seeds, which you can grow at home for ornamental purposes. Buy Papaver somniferum – opium poppy seeds from the US! 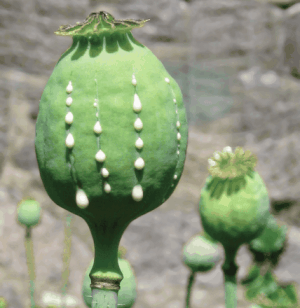 The predominant active ingredient in the opium poppy plant is morphine. However, many other alkaloids are present in certain parts of the plant – mainly in opium, the latex obtained by “wounding” the pods. 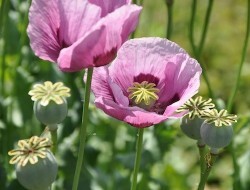 Apart from morphine, opium poppy plants also contain considerable amount of codeine and thebaine. Seeds contain varying amounts of the above substances, so consumed in relatively large amounts, they can trigger psychoactive effects. Opium poppy seeds contain only trace amounts of morphine, and it is said that the effects of opium poppy seed tea mostly come from codeine. However, I could not unearth any scientific study supporting or refuting this. Thebaine – an active ingredient in opium and opium poppy pods and seeds. The opium poppy is the source plant of all natural opiates. Many of these substances are extensively used in medicine, mainly as painkillers and sedatives. The effects of opium, poppy seed tea and poppy pod tea are similar, as they are induced by the same chemicals. Opiates are described as “euphoric depressants” on Erowid. While this is probably not a classical clinical definition, it describes the effects of these substances quite well. While opiates bear some traits of classic depressants, that is, they lowers neurotransmission levels in the brain (this explains the feeling of relaxation), they also induce an euphoric state. Undesirable effect usually include stomach pains, nausea and vomiting. Opiates are very dangerous if misused, and therefore should always be handled with caution. Opiates are amongst the most addictive substances out there. Tolerance develops rapidly, and you will need more and more to achieve the same high, which leads to addiction very rapidly. It is also reported, that many patients on prescription drugs with opiate content for a long period, will become more sensitive to pain in general, after discontinuation. Excessive opiate use also has ill effects on the heart and lungs, because they cause sedation and lessen the brain’s ability to control breathing. This can slow your breathing and over time, damage your heart and lungs, as they’re not getting enough oxygen. On top of the dangers of excessive use, opiates can be deadly, if overdosed. Of course, everyone heard about fatal heroin overdoses. However, drinking poppy seed tea resulted in deadly morphine overdoses in some reported cases too. One of the most recent examples was the death of Paul Dalling, a 27 year old English DJ. Dalling died of morphine and codeine overdose after drinking a pint of poppy seed tea prepared according to a recipe found online. In Tasmania, Australia, the region that produces 90% of the worlds thebaine, there were 3 deaths between 2011 and 2014 caused by drinking poppy tea. Although, these concoctions were probably made from pods, which are a lot stronger and also harder to come by. In short, be extremely cautious, even with opium poppy seeds, and if you want to experiment, always use the ladder method! Opiates are extensively used in medicine, as painkillers and sedatives – they are in fact the basis of almost every analgesic medication. They induce an unnaturally strong state of relaxation, which is said to be beneficial for people who are suffering from a variety of stressful psychological and mental illness. However, due to their high addiction potential opium poppy derivatives are not used in mainstream psychiatry anymore. 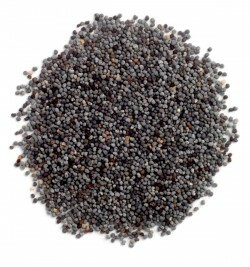 Poppy seeds are also reported to have a high nutritional value. They are reportedly good sources of dietary fibre, thiamin, iron, magnesium, phosphorus, copper, calcium and manganese and are full of healthy fats. Due to the high levels of bioactive calcium, consumption of poppy seeds helps to prevent or alleviate osteoporosis in middle aged women according to the following scientific study. Poppy seed tea is one of the most readily available and easy-to-make legal highs out there. However, it can also be one of the most dangerous! Drinking poppy seeds tea can be a very pleasant experience, but can also kill you, or cause nasty nausea if not done the right way. Check out my suggestions in the “Dosage and precautions” section below, on how to prepare the tea safely. Pick a certain brand of poppy seeds. Check the production date and origin on the package. Use only seeds produced at the same time and same place for the ladder method. This way, you minimise the risks caused by the greatly varying alkaloid content. The parents of a 17 year old boy, who died from a morphine overdose cause by drinking poppy tea created an educational website to warn people about the risks associated with these poppy concoctions. On the site, the parents state that their son always used 3.5 lbs (1.59 kg) for his teas – also for the batch that was proven to be deadly. Now that’s a lot, you should start with doses substantially smaller (around 300 g should be ok, and you can expect substantial effects at 500 mg). If you done it right, you should feel an extreme sense of relaxation and euphoria – the usual opiate high. See the “trip report” section below for more elaborate descriptions of the high cause by poppy seed tea. Some claim, that the poppy seed tea doesn’t work at all. However, the truth is that it works.The experience below is from poppy seed tea drinker. “I went up to the computer to check out how long its supposed to take, decided we probably had to wait 45 minutes, and let it kick in. Opium poppy is only one of the legal highs included in Simon’s legal high guide, check out the others as well. An overview of the psychoactive properties of opium poppy seeds and pods. I also sum up the desirable effects and dangers of opium poppy and provide tips for preparing a poppy seed tea, safely. Heu! Stop harassing poeple. People have rights to write whatever they want. So stop telling what people write is wrong on how people write. People can write whatever they want to write. I think your local police and any lawyer in your country would strongly disagree… Making comments about illegal narcotics, encouraging the use and/or production of illegal narcotics is a criminal offence in every country. You don’t want to go to jail because of an internet comment believe me (depending on your country’s laws, it can happen). I think I may some v. of this poppy popping up in abundance in my gardens in Nth. NSW. I have never planted them & they still keep growing, regardless of my relentless efforts to pull them up year for the past 8 yrs! If these are just ‘growing’ in my gardens, can I get into trouble with them there? They are quite pretty, but also driving me crazy pulling them out & binning them. Nevermind, I guess I should have realized this site is called “legal” highs. Too bad. Sorry about my comment, feel free to delete it. Yes, I did. Please be careful posting such comments on any website, I’m just looking out for you. What you were referring to in the deleted comment is clearly illegal. That sort of public comment can be used against you (very unlikely, but you never know), so please keep conversation to legal highs only (psychoactive plants, substances, which are legal in your country, or at least not globally banned). Poppy pods are great i am possibly one of the last people with a solid and reliable and just plain great source. I have been getting them on and off for 4 years. My preferred method is to put them into a blender 2-3 of them then into a coffee maker. Run through the coffee maker 2-3x then boom easy tea. i would make this at work (brought in my own coffee maker though) everyone thought it was green coffee lol!!! Just don’t make it strong or it really has to be choked down with like a 20oz soda. I use to go into the conference room to drink mine. That way nobody would ask hey why are you chasing your coffee with soda. My best tea vs drug arguement is when i got pulled over a cop asked me what was in my coffee mug because he saw me chasing it on the highway. I told him tea he opened took a whiff and said good bye!!! My brother died in October 2016 from poppy seed tea . His death has devastated our family. Please don’t mess around with poppy seed tea its effects wreck lives . can’t wait to try the seed tea, are they marked any certain way in the store? or just poppy,which could be any kind?right? Will drying poppy seed pods and poppy straw with a desiccant like Damp-rid affect the alkaloid content, and or the potency? What can you suggest for an insomnia who is trying to get off medication and wants to use a kava kava root source that is higher that 30 kavalactones – this just doesn’t help at all. Try it with Valerian root extract. If that still does not help, then you have severe insomnia, entheogens only help with mild to moderate insomnia. I’m sorry, talk to your doctor about stress management therapy and meditation too. They help as well, just don’t expect miracles. Some people, sadly, need to stay on medication for their entire life. Consult with your doctor before trying to wean yourself off your prescription medication.